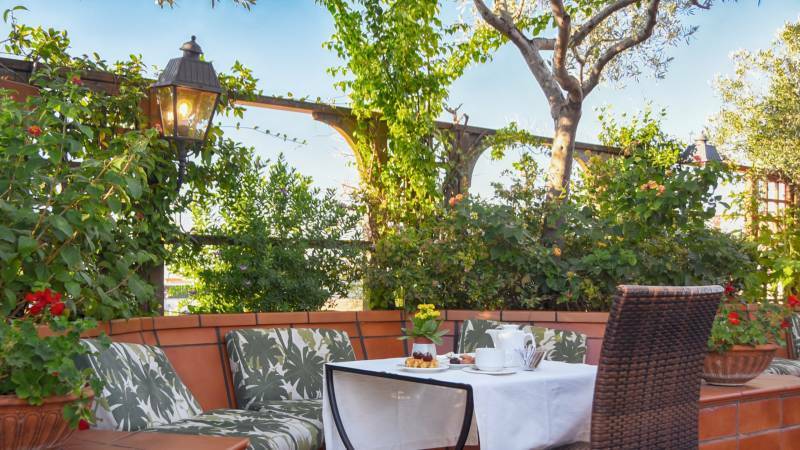 L’Uliveto Roof Garden is a hanging roof garden on the top floor of the Hotel Diana Rome. (Uliveto is the Italian equivalent to Olive Garden). Colourful flowers, sweet herbs, sage, laurel, olive trees, pomegranates, nestle with other Mediterranean vegetation and shrubs. Lightweight pergolas and canvas awnings create the right shade over placed out tables, chairs with plush cushions, while jasmine fills the air with its delicate fragrance. 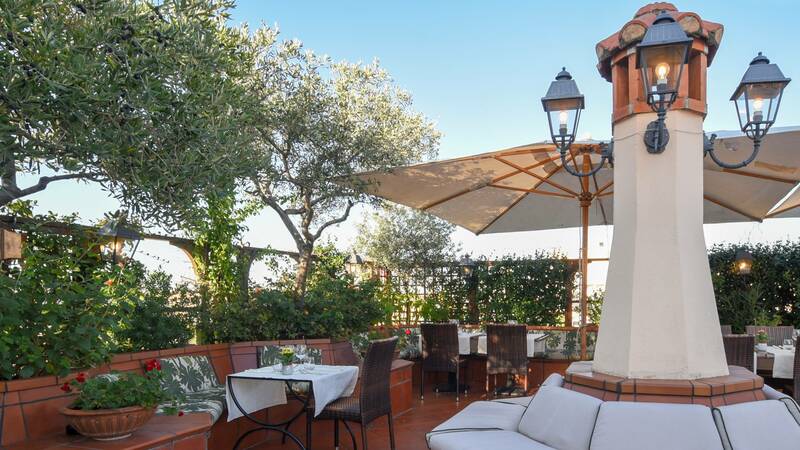 Enjoy the intimate atmosphere of this romantic and exclusive Roof Garden with its amazing view extending from the Alban Hills to the top of Monte Mario and beyond the Quirinale Palace to St. Peter’s Dome. Do not forget the opportunity to bask under the warm sun rays in the summer! Savour the American buffet breakfast and freshly brewed coffee here on the Roof Garden. 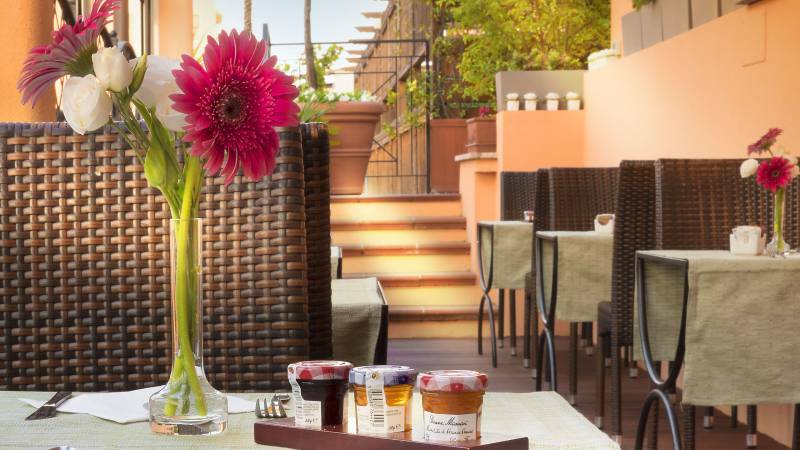 Begin your evening with a cocktail on our rooftop terrace, watching the sun set over Rome or sip your wine at fresco under the stars.